That guy you're hacking is a minmaxer. 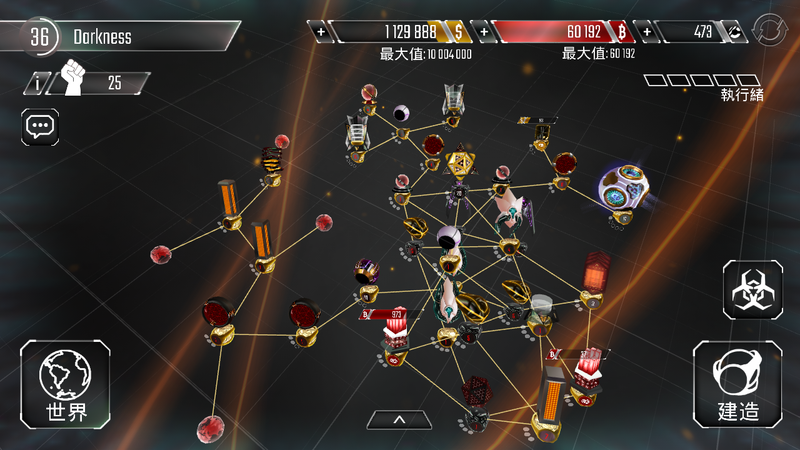 Minmaxing is one of strategy to play the game (it works in other game too). Minmaxing means: to upgrade only critical nodes, mainly Core and Sentry for defense together with Program library, Compiler, Evolver for high hacking prower, in order to avoid level inflation and increase the defensive capabilities for the network per level. That guy have at least 16 - 18 lv sentry as you can see the Golden sentry in the picture. All nodes will have 65/75/86 damages per pulse when the anti-virus has been spread. There's no way you can win unless you have like 10 lv protector and placing them everywhere on the Turret or Black ICE or so. As the others have said, that network looks weak to the casual eye because it has so many low-level nodes, but he does have a relatively high level Sentry, which has some not insignificant damage output. Notice how he has connected all his nodes into a big confusing mess? We call that a Maelstrom design. Since most of the nodes in his network are such a low level, his antivirus will recapture them in one or two hits. Every single node you try to capture will need an Ice Wall, at the minimum. On the flip side, you don't need much damage at all to capture each of his nodes. If you just bring a ton of ice walls and protectors (assuming you upgraded them at all, obviously level 1 Protectors aren't going to cut it) and secure every node you capture, it won't be difficult to defeat his Maelstrom. Maelstroms that use a combination of strong and weak nodes are ultimately more effective than relying solely on an over-leveled Sentry paired with a ton of weak nodes. Another big weakness that network has, is its Scanner isn't particularly well upgraded. Somebody with moderately upgraded stealth programs will be able to Wraith that gold Sentry, making the network quite easy to defeat. So on a scale of 1 to 10, I'd give that network a 7. Good enough to trip up people who have never seen such a network before, but it's not all that well designed. He just saw some tip on these forums or Discord saying "high Sentry, low everything else is good," without really understanding the other nuances of network design. He's a smurf minmaxer, so don't beat yourself up over this loss. Your programs are relatively low leveled to take on experienced players except the ICE Wall - stop leveling it up as level 7 is the best level to leave it at. What you need to do is focus on getting your protector to level 13 and place it on the choke points where ICE Walls wouldn't suffice.